From the New York Times bestselling author of The Mark of the Dragonfly comes a thrilling fantasy adventure about two magical friends living as refugees in a world that doesn't trust magic. Perfect for fans of Serafina and the Black Cloak and the School for Good and Evil series! There was no warning the day magic died in Talhaven. It happened with a giant explosion and the arrival of a skyship full of children, all with magic running through their veins and no memory of home. 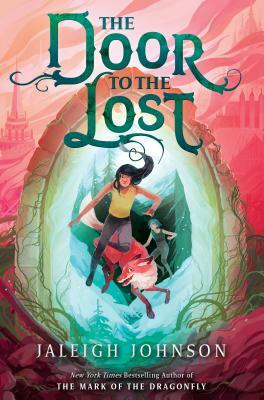 Rook and Drift are two of those children, and ever since that day, they've been on the run, magical refugees in a world that doesn't trust magic. Because magic doesn't die right away--it decays, twists, and poisons all that it touches. And now it's beginning to poison people. Try as they might, Rook and Drift can't remember anything about their lives before Talhaven. But it's beginning to look like they're the only ones who can save their adopted world . . . if that world doesn't destroy them first. Jaleigh Johnson is a New York Times bestselling author as well as lifelong reader, gamer, and moviegoer. She loves nothing better than to escape into fictional worlds and take part in fantastic adventures. Her novels for young readers include The Mark of the Dragonfly, The Secrets of Solace, The Quest to the Uncharted Lands, and The Door to the Lost. Jaleigh lives and writes in the wilds of the Midwest, but you can visit her online at jaleighjohnson.com or follow @JaleighJohnson on Twitter.